Earnings from Dell can be redeemed as vouchers or in Bank account. Dell ack to School Cashback Offers & Coupons : Now shop Dell PCs at CompuIndia under Back to School offer. Offer includes 2 years additional warranty and more on select Dell PCs. Coupon code is not required. Checkout the landing page for more details. Dell Cashback Codes : Now shop Dell Laptops, Desktops, AIOs, 2-in-1 PCs, Alienware, XPS, Vostro series laptops, Accessories and more. Dell Cashback Offers & Coupons : Now shop Dell Laptops & Computers at CompuIndia. Get Amazing discount & EMI offers on select Laptops & PCs. Dell Compuindia Discount Offer : Upto Rs 20000 off on Dell Pc. Coupon code not required to avail this offer. An affiliate of an official Dell distributor, Compuindia, is an authorised website for buying genuine Dell products. This simple and quick platform brings you Dell laptops, desktops, tablets, alien-ware and accessories at your fingertips. Dell Compuindia offers you a wide range of products at competitive prices, various payment options including COD and on time delivery. You can save some more money while buying Dell products, use Zingoy. Here you will find various Compuindia offers listed on one page, plus you will earn cashback over and above those offers, if you make every Compuindia purchase via Zingoy. 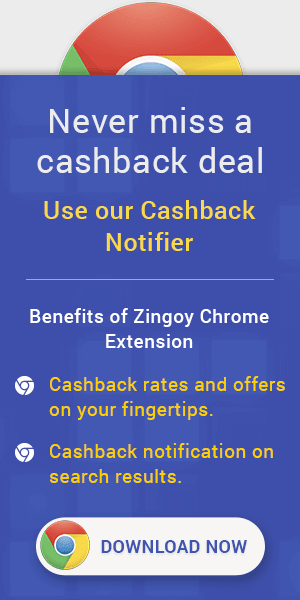 You can also make and share your own Zingoy shopping links of Compuindia and share them with your friends and family to earn more cashback every time a purchase is made using your link.